Flash photos are not allowed, so no complaining. 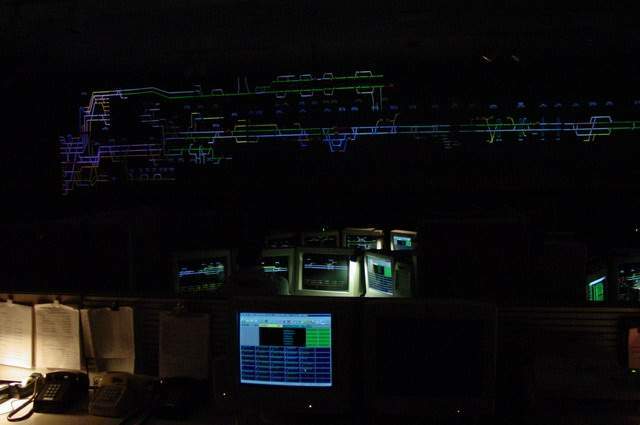 This is the Amtrak/MBCR dispatch theatre (CTEC) at South Station, Boston, MA. This site controls trains from New Haven to Boston on the NE corridor, and from New Haven to Springfield. It's a lot more impressive in person!